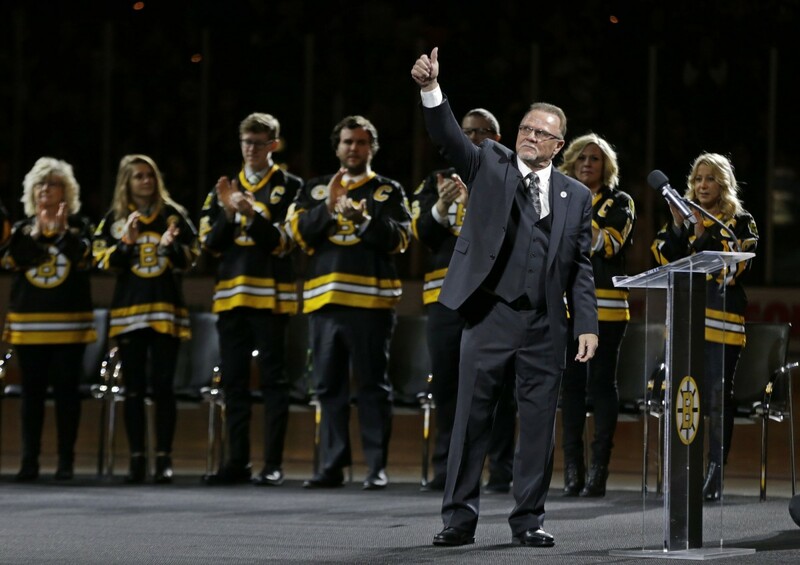 Rick Middleton’s “iconic” number 16 was raised into the rafters of the TD Garden Thursday night as the Boston Bruins beat the New York Islanders 2-1 in a shootout. Middleton had a great pro career, but it wasn’t anything that was truly exceptional. Sure, he scored a bunch of points, but it was an era where scoring was prolific and 100 points a season didn’t mean as much as it would mean now. Middleton never was considered an elite scorer; he only had three seasons when he scratched the top ten of any specific offensive or defensive category. Granted, Middleton scored just under a point a game for his career (988 points in 1005 games played), but he never had the “It” factor that pushed the Bruins over the hump to a championship. The crux of this argument is that the Bruins didn’t think that Middleton was a truly elite player either. It’s been 30 years since Middleton retired, and now the Bruins want to retire his number? Hall of Fame worthy players don’t wait 30 years to have their numbers enshrined and the Bruins have too many numbers retired that the enshrinement doesn’t mean anything anymore. Fans and ownership often confuse longevity and consistency with greatness. Cam Neely is not worthy of having his number retired but number eight is hanging from the rafters. Terry O’Reilly has his number retired? What a joke. Most fans couldn’t even tell you what his most iconic moment is, if he even had one. But because they were Bruins for a long time, fans delude themselves into thinking these players were the best at their position. David Krejci is a single point away from tying Neely’s career point total. Should the Bruins ring up number 46 next? What about Marchand’s 63? Don’t get me wrong, these were good talents. Good, not great. But when Middleton’s 16 has been worn by scrubs like Jozef Stumpel, Peter Douris, Andy Hilbert, or even the Dog-man himself, Kaspars Daugavins, the Bruins didn’t consider number 16 untouchable. This speaks to a larger problem across all pro sports; there’s too many numbers retired. The Celtics have retired 22 different numbers and the Yankees will soon pass them by inexplicably retiring another number. Why do teams overvalue their own players? Isn’t the team hall of fame enough of an enshrinement? Bernie Williams’ number 51 needed to be retired? What about the Celtics number 31 Cedric Maxwell? Tom Sanders’ 16 or Don Nelson’s 19? What did any of these players actually accomplish? I tend to rely on the eye test and stories I’ve heard about these players. Were these players ever considered to be one of the best at their position? How much did they win? How long were they here? And, most importantly, did they make the players around them better? I can’t say that for Middleton, O’Reilly, Maxwell, Sanders or someone like Williams in New York. There are talks about retiring Kevin Garnett’s number five and Ray Allen’s number 20 down the road for the Celtics. Both were in Boston for a cup of coffee and while instrumental in winning a championship, nobody would recall either player strictly as a Celtic. It cheapens the meaning of retiring numbers when Bobby Orr, Ray Bourque, Kevin McHale, Tommy Heinsohn and Larry Bird have to share immortality with undeserving talents. There is a reason why there is a separation between the team hall of fame and retired numbers. The Bruins have 53 players or staff in their hall of fame, which is fine. Put O’Reilly there because Mark Recchi is there too, despite only having three seasons in Boston. It is probably time to start unretiring numbers. Something, anything, to make retirements feel special again. Oh, and congrats to Rick Middleton.